Ryan Strome scored his 15th goal of the season at 1:48 of overtime and the visiting New York Rangers defeated the Toronto Maple Leafs 2-1 Saturday night to end a five-game losing streak. It was the 21st time this season the Rangers have gone past regulation time in a game. They are 8-13 in those games. After the Maple Leafs had a good chance in the Rangers' zone, Strome and Boo Nieves broke out. Toronto goaltender Frederik Andersen made the save on the first shot, but Nieves got the puck back to Strome for the winning goal. Pavel Buchnevich also scored for the Rangers. Zach Hyman tied the score for Toronto with a third-period goal. The Maple Leafs have lost five of their past seven. 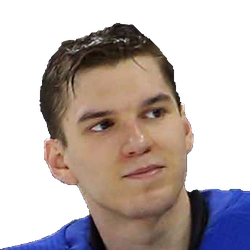 Alexandar Georgiev made 44 saves for New York. 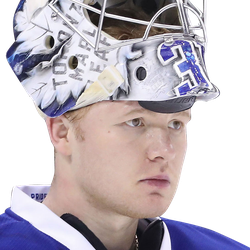 Georgiev has frustrated the Maple Leafs previously, stopping 55 shots in New York's 4-1 victory over Toronto on Feb. 10. The Maple Leafs had a 13-11 edge in shots on goal in the first period. The Maple Leafs began the second on a power play when Brett Howden was penalized for cross checking at 18:42 of the first period. Georgiev held off the Maple Leafs during their man-advantage situation and continued to do so after the sides returned to even strength. He stopped Toronto's Kasperi Kapanen's blast from the slot. The Rangers failed to take advantage of a two-man break late in the second period. Toronto led in shots on goal 24-18 after 40 minutes. Buchnevich scored his 18th goal of the season 19 seconds into the third period when he drove home a loose puck during a scramble around the goal that resulted after a shot bounced off Andersen's shoulder and the Rangers tried to put in the rebound. Brady Skjei and Kevin Shattenkirk had the assists. Hyman tied with score with his 19th goal of the season at 8:33 of the third period. Morgan Rielly rushed down the right side, directed a shot at goal and John Tavares eventually passed the rebound to Hyman. Mitch Marner had the second assist.